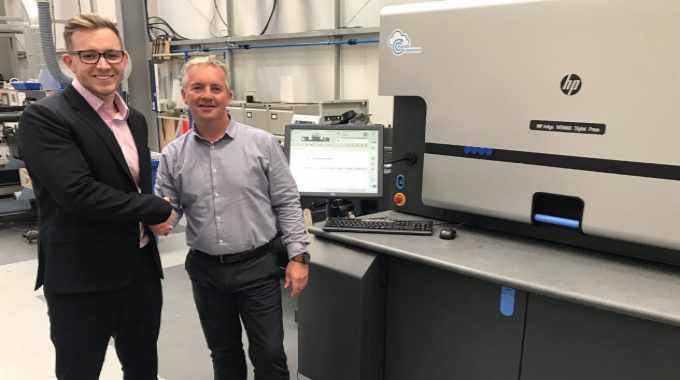 UK-based label printing specialist Vale Labels has become the first company in the UK to install an HP Indigo 6900, which it will use to enhance its digital printing capacity and attract new business with even faster deadlines. A family-managed independent business, Vale Labels specializes in digital printing and the production of self-adhesive labels for companies of all kinds, in a range of sectors. Having purchased its first HP Indigo press over a decade ago, Vale Labels is now one of HP’s longest standing customers in the UK. Vale Labels moved into digital printing in the early 20th Century with the installation of HP Indigo WS2000. This allowed Vale Labels to satisfy growing customer demand for smaller orders with shorter lead times, as well as meet the needs of new customers wanting to create high quality labels in flexible batches, reducing the need for placing large, less economical orders. By offering smaller orders, Vale’s digital portfolio enabled customers to take less risk during tough financial times. This meant that despite market contraction, Vale Labels continued to grow. Demand grew and Vale Labels CEO John Riches took the decision to upgrade to an HP Indigo 4500 to increase volume production and vary the service array. An HP Indigo 6800 later replaced the HP Indigo 4500, further increasing capacity. Installation of the HP Indigo 6900 takes the company into its next period of growth by allowing it to drive unmatched quality, productivity and versatility. The move is designed to speed up production time and maintain relationships with customers.